Unlike most skull statues you might find to use as decoration in your house, this one looks a little bit too fresh! 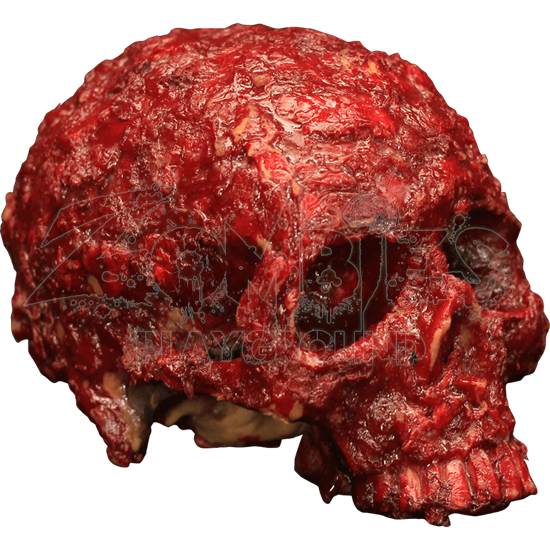 The Bloody Scab Skull features a grotesque appearance created by its rough, scabby texture and bright red coloration. This gruesome human skull lacks a jaw, so it rests on its upper teeth in the front - though even they are dyed a bloody crimson hue. Deep eye and nose cavities help this skull decoration look realistic. Make sure your next Halloween party is the spookiest one yet when you add this unique horror prop to your home decor.